It goes without saying that good security measures are a necessity for businesses year round. That means functioning CCTV, effective remote monitoring, access control, security lighting and more. Yet seasonal security measures are often neglected. As we edge into the colder, darker months it’s essential that businesses start to think about specific changes to improve security during winter. Security lighting is absolutely pivotal during the winter months. It can make a huge difference to how effective CCTV is. With the winter weather often meaning low light conditions and the long nights resulting in the cover of darkness being even longer for intruders, security lighting is key to providing effective security. Infrared (IR) lighting can be picked up by CCTV cameras, but is invisible to the naked eye. Meaning intruders are left in the dark but those monitoring your CCTV footage are not. This incident that we dealt with demonstrates how important IR security lighting can be in the winter months: Security lighting and operator vigilance result in arrest. Yet security lighting can have some further surprising benefits, that are applicable year-round but particularly during the winter. This case study by Raytec shows how security lighting can complement low light cameras to reduce false alarms and improve visibility for monitoring stations. Make sure you read our other blogs on the topic, covering how security lighting can make a difference and how installers can recommend security lighting. Despite headlines seeming to, every year, claim that we will face months upon months of harsh weather it’s hard to predict whether we really will be in for tough slog throughout the winter. Either way, it’s important sites are prepared for the worst to make sure their security systems do not go down come torrential rain, high winds or heavy snow. It’s essential that security systems are ready for any weather scenario. 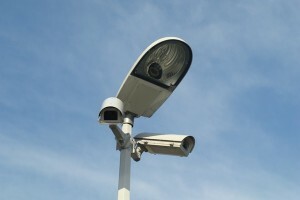 Make sure CCTV cameras are housed properly and that there is no risk of cameras coming loose or cables being disconnected. Ensure the mechanisms of PTZ cameras are still functioning correctly. Keep an eye out for any areas that may not necessarily cause immediate issues but may be detrimental if winds pick up. For instance, look for any wear and tear on cables and ensure the camera is still stable. This one is surprisingly simple but is often forgotten. Make sure the time is updated on all security systems and CCTV cameras when the clocks go back (30 October 2016 and 29 October 2017). If you do not update the times on cameras, or if the time is incorrect, then it may make CCTV footage impermissible as evidence in court. Last, but by no means least, check all perimeters of a site. It can be surprising what summer foliage can conceal, whether it’s broken perimeter fencing or items left near to boundaries that could potentially make it easier for intruders to enter sites. It’s crucial that you check perimeters year round but particularly as the seasons change. Before the harsh weather hits, check there aren’t any areas of your perimeters that simply need a bit of TLC. High winds may cause fencing to come loose or heavy rain may shift items near your boundary and cause on-going issues. Will these factors really make a difference to security during winter? Back in 2014, December saw almost one in four of the sites we monitor experience an incident. That really shows the risk sites face during the winter months and why it is essential for sites to conduct some basic checks to make sure their security remains efficient year-round. The above four tips are a starting point but of course regular maintenance checks are advised all year round. Different seasons pose different challenges for sites – these statistics show why a security review is important in spring and here are 20 business security tips that apply year-round.